Oblivion. . Wallpaper and background images in the Oblivion (Elder Scrolls IV) club tagged: oblivion scrolls elder elf altmer horse khajiit argonian. 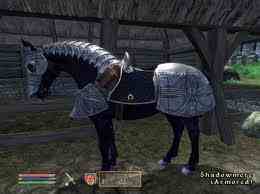 This Oblivion (Elder Scrolls IV) photo contains lippizan, lipizzan, lippizaner, wrangler cheval, wrangler, wrangler à cheval, cheval de wrangler, sentier équestre, and randonnée équestre. There might also be cheval de selle, cheval, monter, cheval d'équitation, monture, cheval de l’équitation, cheval de course, bangtail, coursier, and steed.